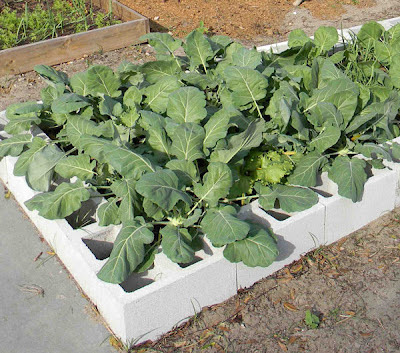 Florida Survival Gardening: Start Your Fall Garden/Grow Food Now! As Florida begins cooling off, now is the time to get plants in the ground. Down in South Florida you could stand to wait another month or two, but in the Northern half of the state, it's fall garden time. Fall is tougher than spring, both in its timing and in the variety of pests you're going to encounter. The grasshoppers are huge, the beetles are hungry, and all kinds of freaky things are lurking and looking for tasty new plants to devour. But don't let that stop you. This is the time to get things in the ground like collards, peas, fava beans, lettuce, beets, broccoli, carrots, turnips and other plants that don't mind a bit of cold. If you wait until spring, you're putting your food security in the balance. So don't wait. It's better to try, fail and learn something than it is to keep relying wholly on a dangerously overextended and fragile infrastructure. Learn now, while you can. Totally simple. C'mon, you could do this! If you've never done much gardening before, you're not alone. Many times I interact with people at master gardening events and elsewhere, and meet those that haven't grown much of anything except for grass and weeds. That's okay. But don't stay that way. 1. Go out and find yourself a good container. A five-gallon bucket, a large pot, an old wheelbarrow, an old cooler... or just anything you happen to have lying around. Make sure it's at least a foot or so deep so it doesn't dry out easily. 2. Buy a bag of potting soil and a package of lettuce or spinach seeds. 3. Drill or punch a few holes in the bottom of your container, if they're not there already. 4. Fill it with dirt and put it where you get about a half-day of sun. Morning sun is better than afternoon sun. Also - keep it close to where you pass every day. Near your car or by a back door is perfect. 5. Sprinkle a pinch of seeds across the soil and lightly crumble them into the soil with your fingers. 6. Water gently and wait. In a few days, your seeds will start popping up. Water the bucket daily and watch what happens. In about a month, you'll be picking young greens for salads. Once you start harvesting the result of your work, you'll realize why God placed man in a garden to begin with. It's healthy, beautiful and good for the soul to grow your own food. Once you've started, it's hard to stop. But you need to start - now - so you're ready to expand and grow as the economy continues downhill. For those who are looking for a good list of planting times and crops for Florida, the University of Florida has a great downloadable PDF HERE.